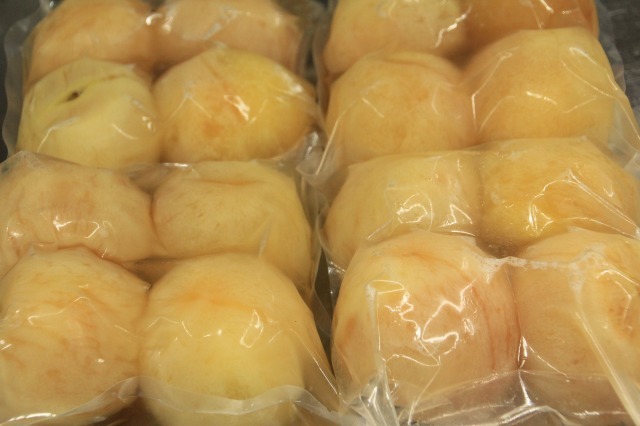 Hida peach is not sold outside of Hida region because of less crop yeilds, but it’s very tasty. 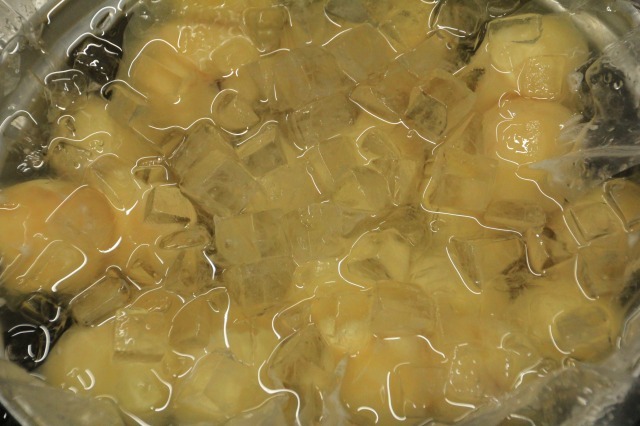 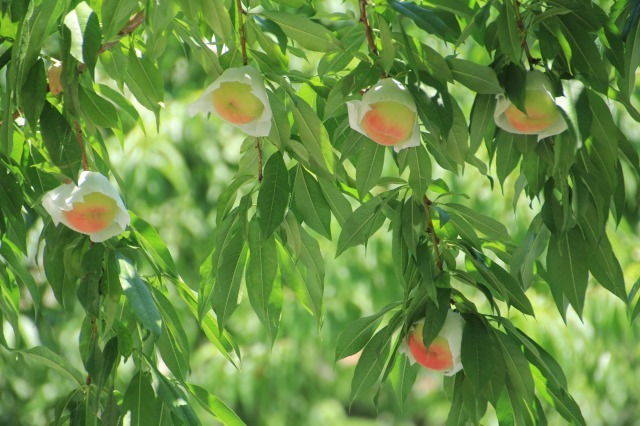 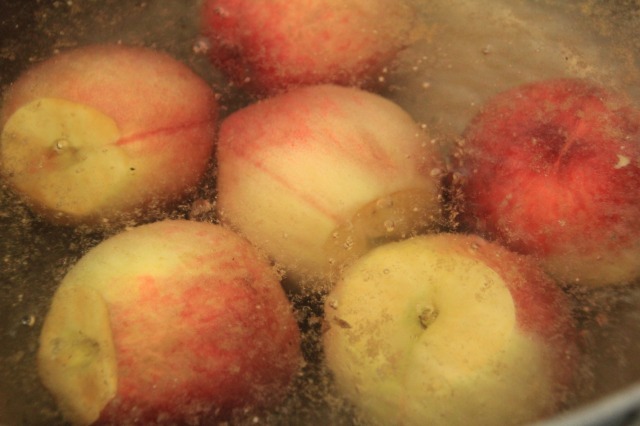 Peel peaches after steeping them in boiling water. 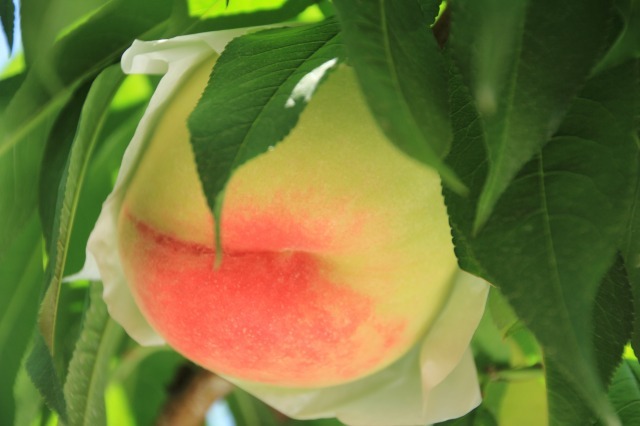 Cook the peaches with special syrup in vaccume sealed bag. 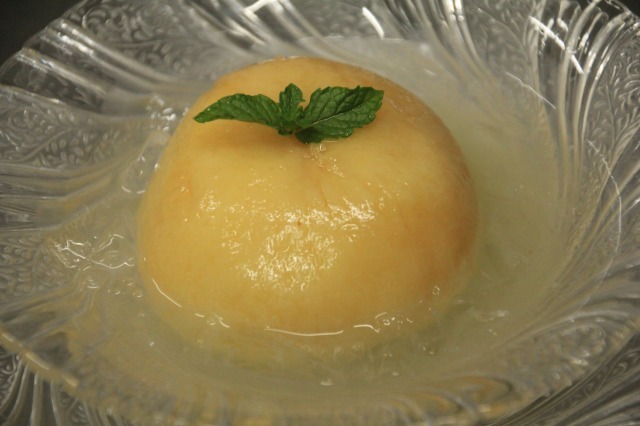 Cool and refreshing summer dessert is ready to serve.